The Ombak Putih - your new home! 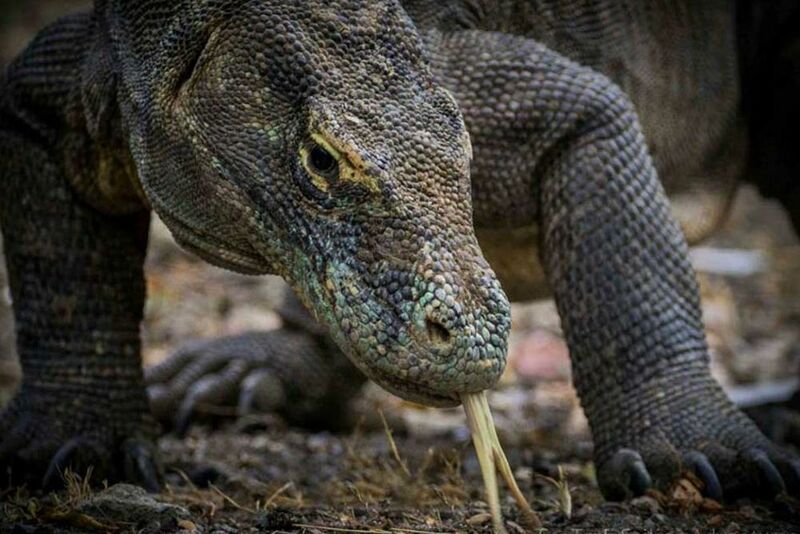 The encounter with the prehistoric dragon will inspire you. 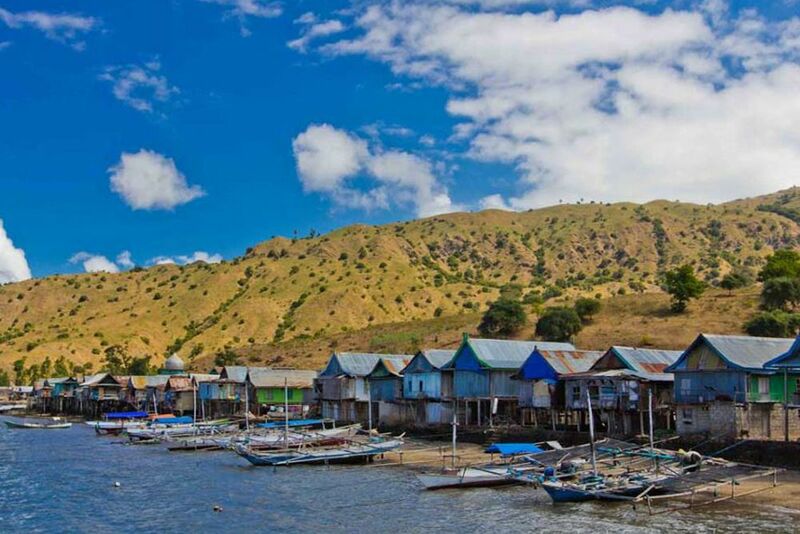 Dreamlike bays in the Indonesian archipelago await you. 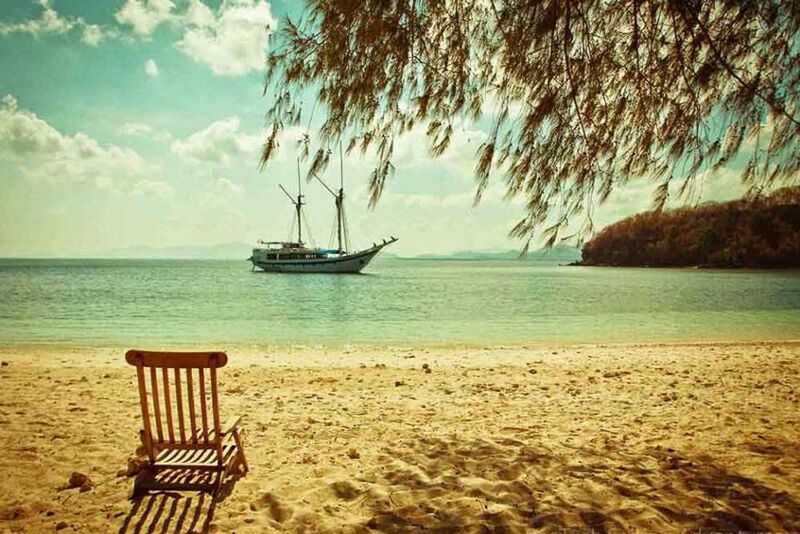 Lonely beaches that invite you to swim, sunbathe and relax. Quite a lot of untouched nature and hardly a human in sight. You will also learn about the traditional ways of the locals. 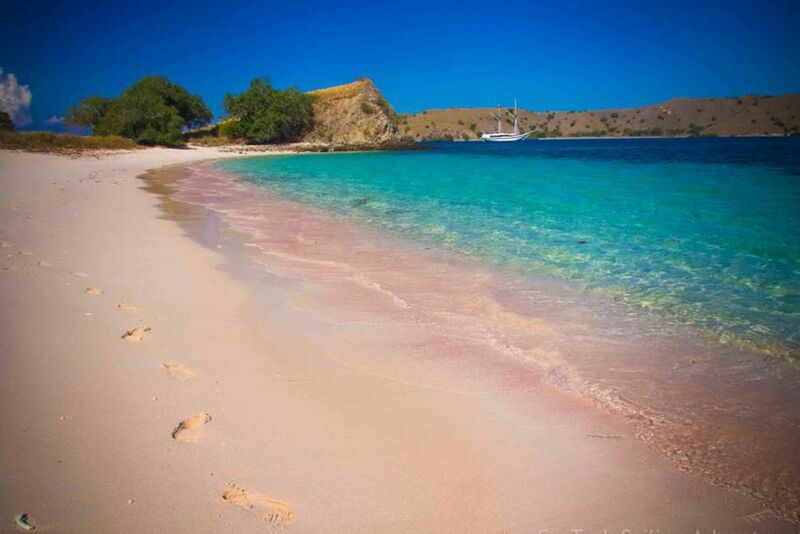 Indonesia is blessed with dream beaches. Blue water, blue sky...What more do you want? 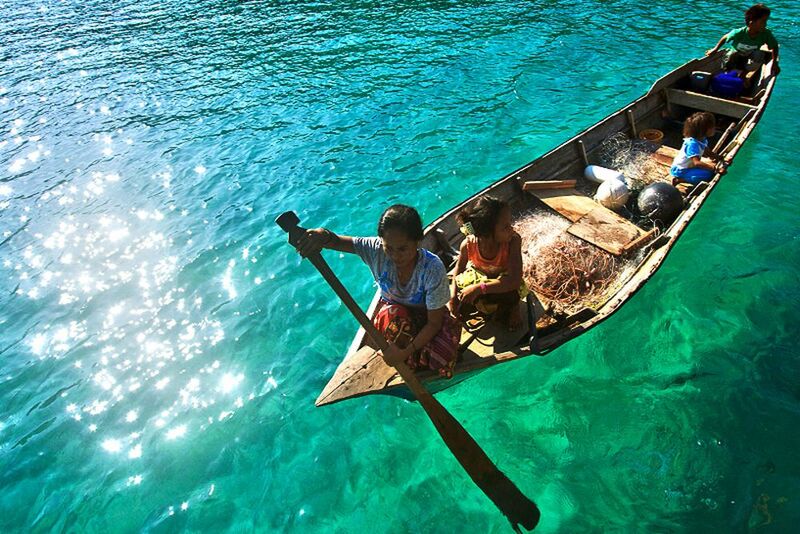 Small fishing boats slide smoothly over the water. Learn interesting facts about the "whip dance"
Unique biodiversity in the underwater world. 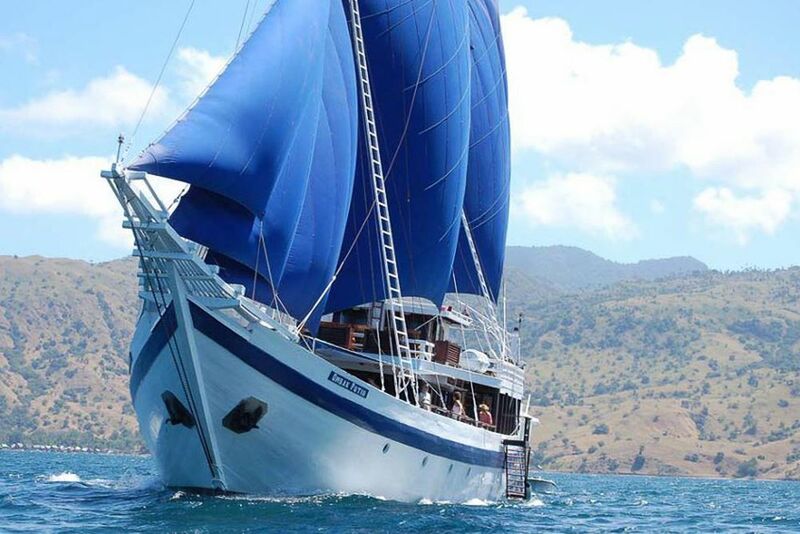 Relax on the waves and explore the island world of Indonesia! 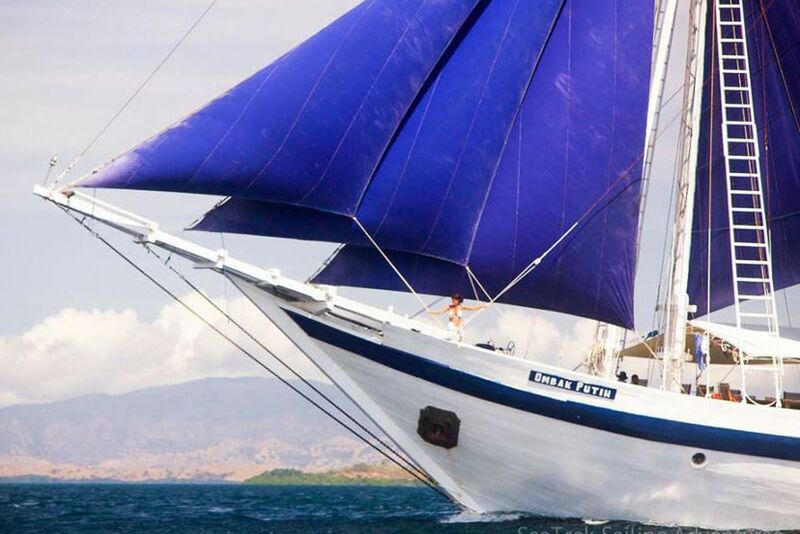 You will sail through the breathtakingly beautiful world of the Indonesian Archipelago on the Sailing schooner Ombak Putih ("White Wave"). 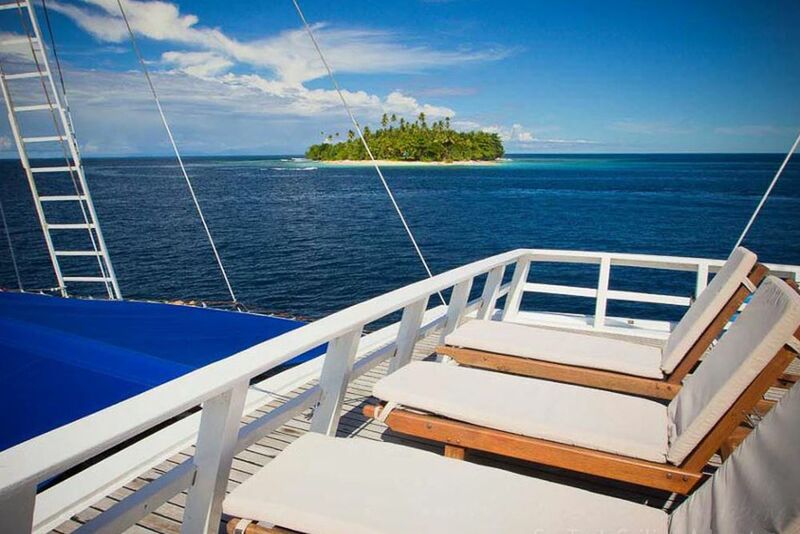 Experience one of the most beautiful parts of the world as the helpful crew reads your every wish. 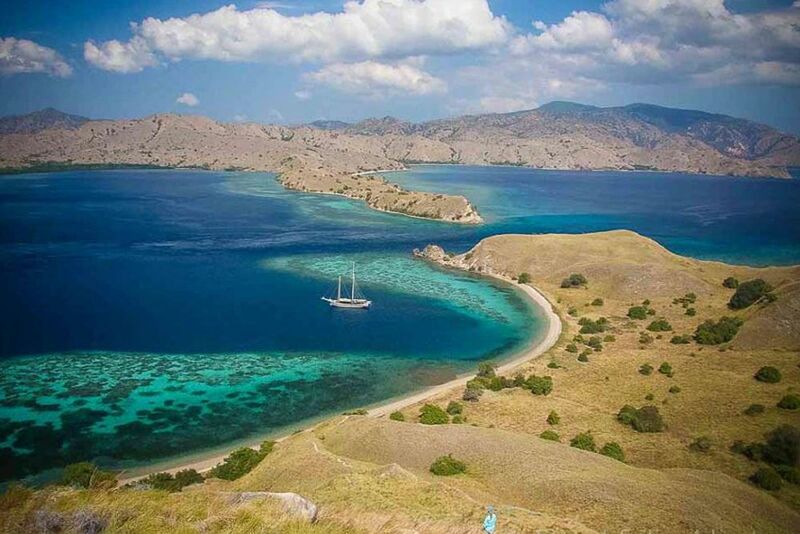 Snorkeling on the "Red Beach"
Smoky kites, powdered white beaches, azure seas and colorful coral reefs: The Komodo National Park is a mandatory stop for any nature lover. 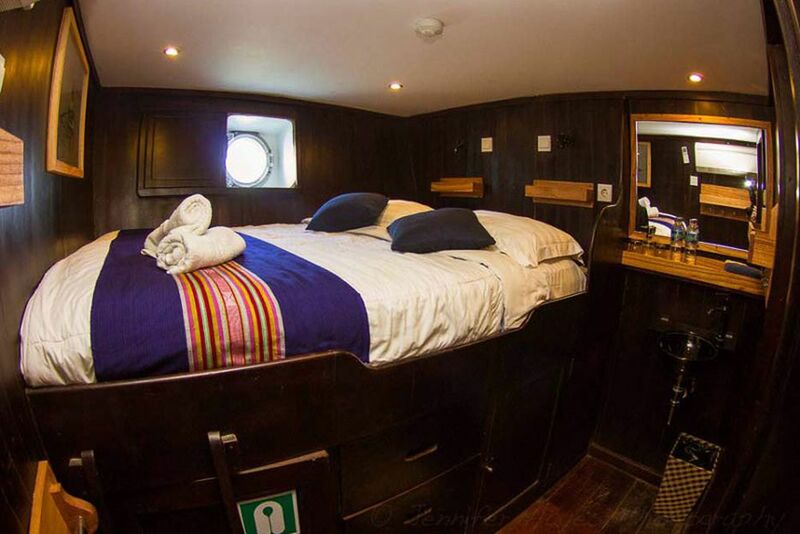 There are plenty of hidden gems to be discovered on and under the water surface. 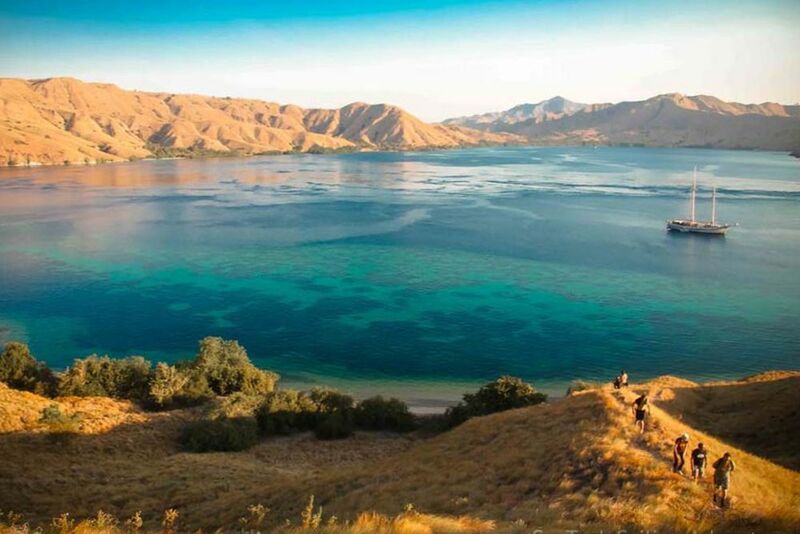 Your destination today is the island of Rinca, on whose hilly steppe landscape an encounter with the prehistoric Komodo Waranen is almost guaranteed. 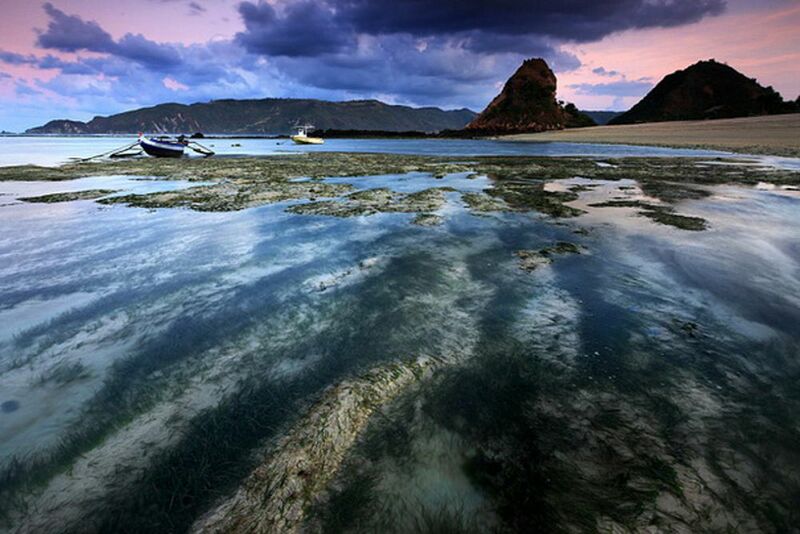 In addition, the island offers a diverse wildlife with wild buffaloes, deer, monkeys and wild horses. 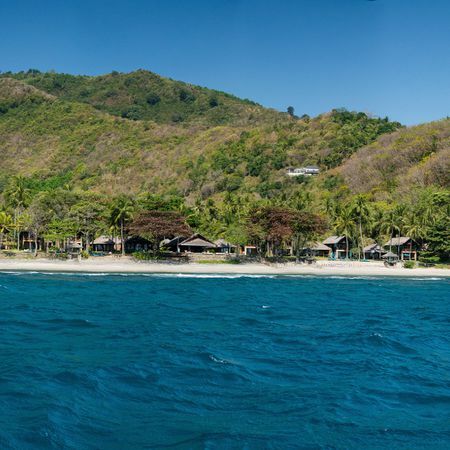 After a long hike to the highest point of the island, where you have an excellent view over the ocean, you can return to the beach and swim, snorkel to your heart's content or lounge around under the sun. 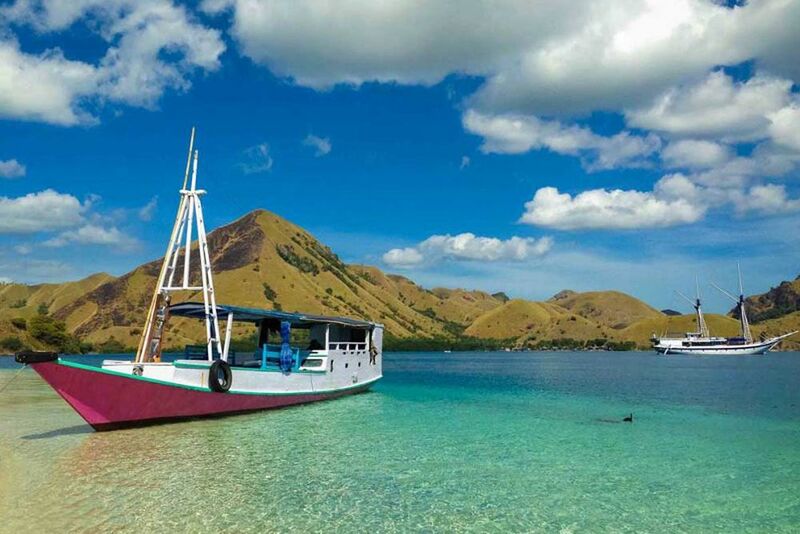 Today's destination, the island of Komodo, is one of 80 islands and homelands belonging to the national park of the same name as well as namesake of the prehistoric giant lizards. Together with an experienced ranger, you will roam around the National Park in search of creatures that do not seem to belong to our time. Back on board you will sail on to the "Red Beach". Regularly washed ashore particles of a red coral reef off the coast are the reason behind the beach's curious red hue. The Red Beach is also one of the most biodiverse in the archipelago. 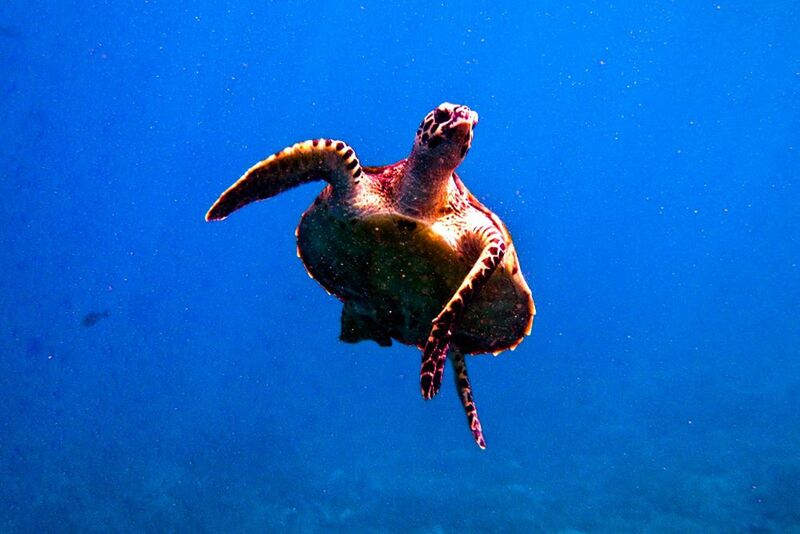 Here you can snorkel, discover the indescribable biodiversity of the reef. You will have breakfast this morning in front of the island of Gili Banta and afterwards you will have the opportunity to go for a swim. 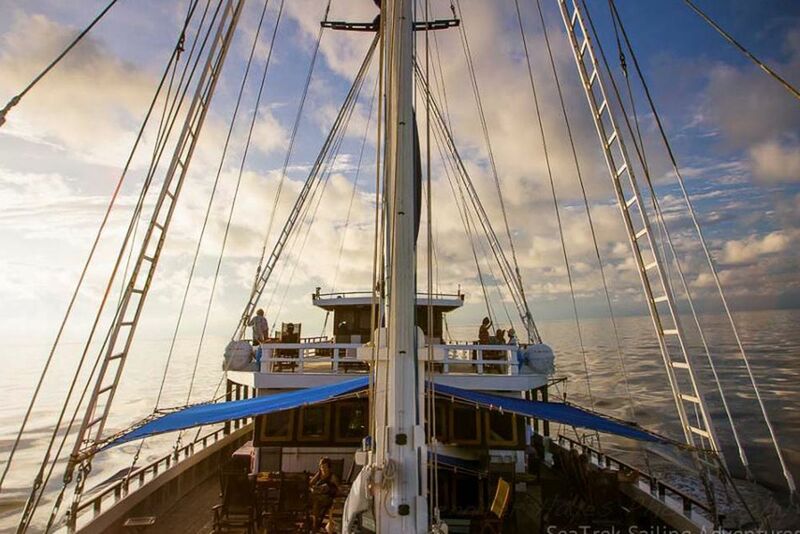 In the morning, you will set off to learn about the Bugis and your shipbuilding skills. You will visit a traditional shipyard, where you will have the opportunity to see the schooners in the different stages of manufacture. Day 5: Flying dogs and the "year without summer"
Today you will land on Satonda - home of the impressive crater of Mount Tambora. Satonda (or what's left of it) is the remnant of a huge volcanic eruption in 1815. The Tambora eruption went down in history as the greatest of all times. Its eruption was larger than that of Krakatoa in Hawaii. The volcano spit out glowing lava and house-sized rocks, sending up a cloud of ash that reached the stratosphere. The ashes darkened the sun, even affecting the weather in North America and Europe, and the subsequent period went down in Indonesia's history as a "year without sun." In the evening, you can observe a colony of thousands of fruit bats fly out in search of food. 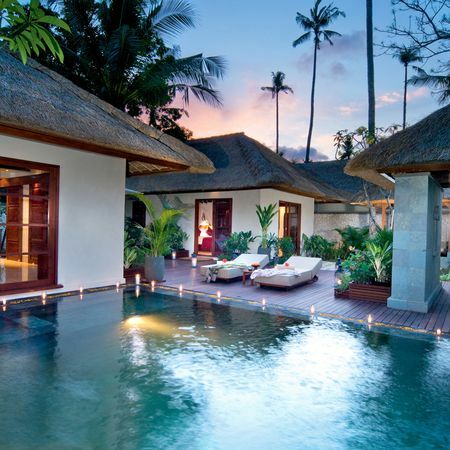 Only separated by a strait from Bali and yet a world of its own, Lombok enchants with beautiful beaches, volcanic panoramas and a slightly quieter atmosphere than its sister, Bali. 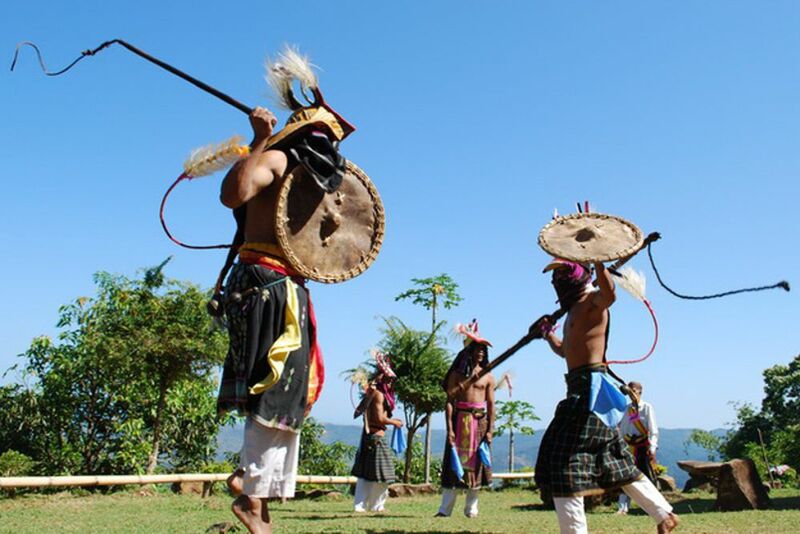 Inland, you can get to know the culture of the Sasak, the indigenous people of Lombok. Here you are invited for a leisurely lunch and you can listen to the interesting and ancient sagas of the Sasak. 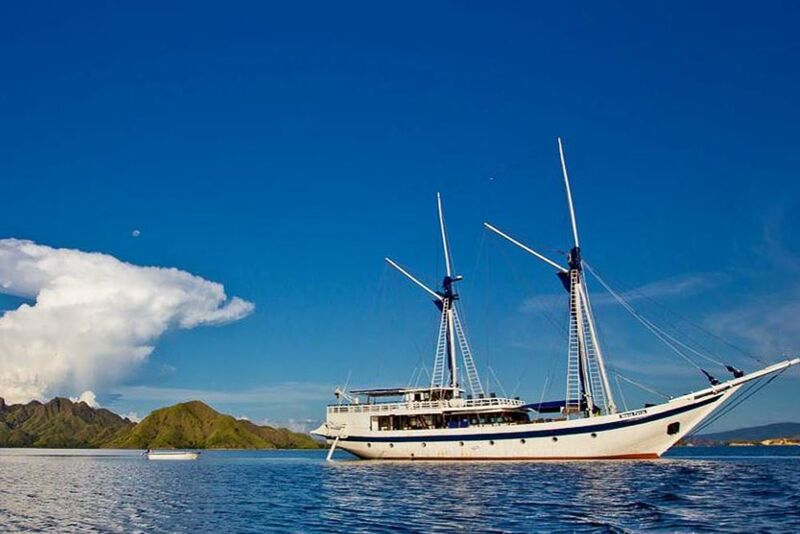 After leaving the Sasak, you will board your ship and sail onwards to Kondo, a small island off Lombok, where you will be in the colorful reef - perfect for snorkelling. 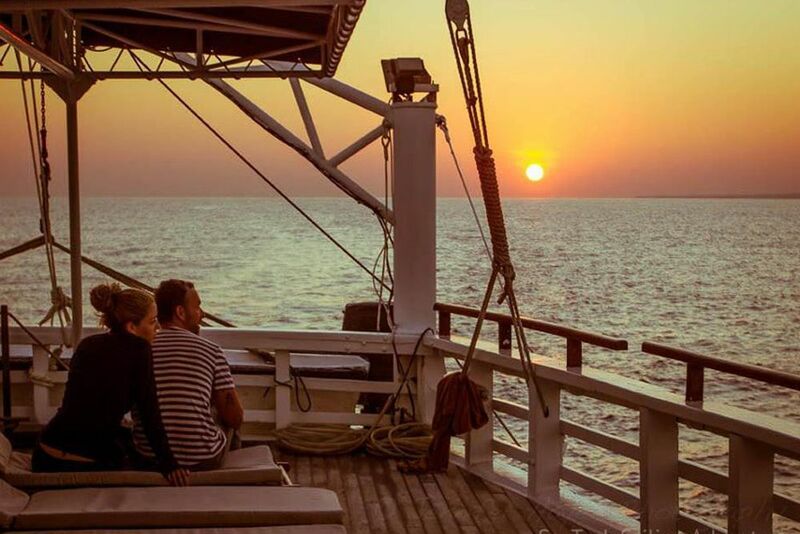 The last day of your cruise begins. You will have another opportunity to swim in the waters before you say goodbye to the Ombak Putih at noon. After a final lunch in Bali, the island of gods and demons, you will disembark and begin your journey home - or to your next destination. 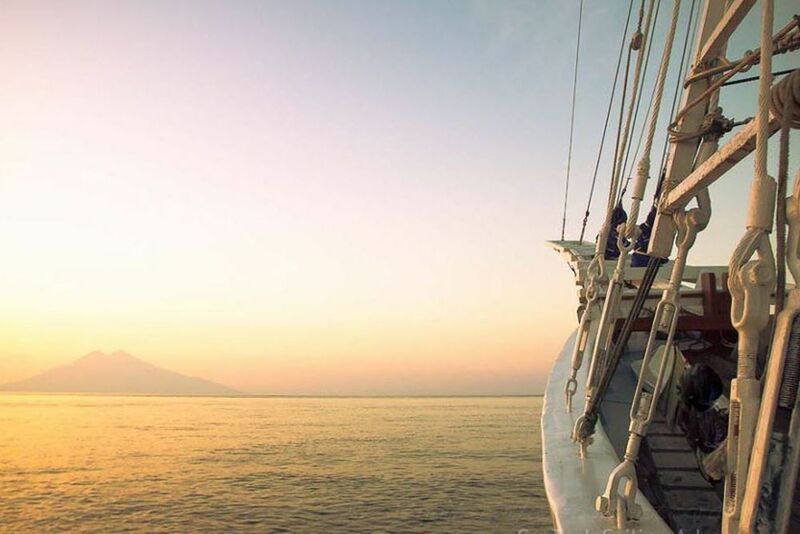 Escape to the sea where the sun shines year-round, and where serenity meets unforgettable memories.